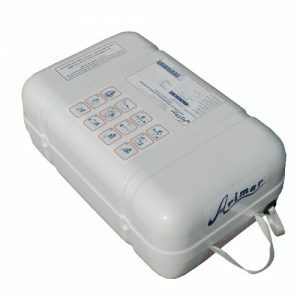 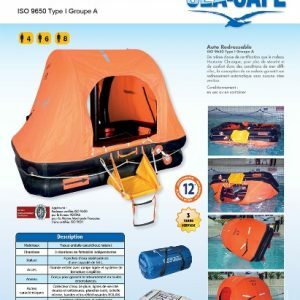 Container size / kg 74 x 48 x 27 cm / 34 kg. 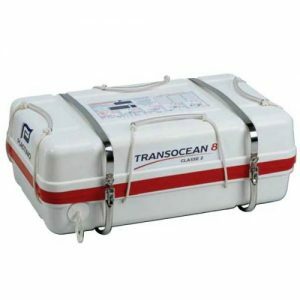 Applications Offshore Navigation >60 miles from the coast for French Flagged Vessels. 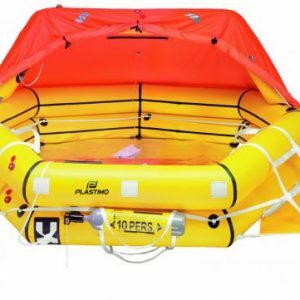 Service By Galanos Bros Every 3 years will not exceed the amount of euro 377,00 w/o vat 24%. 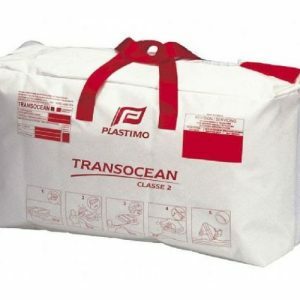 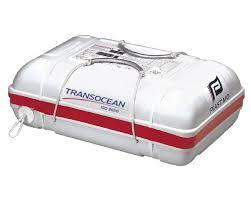 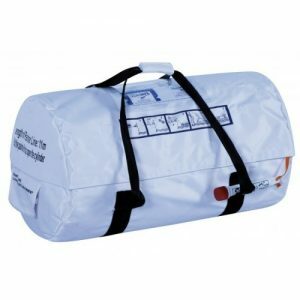 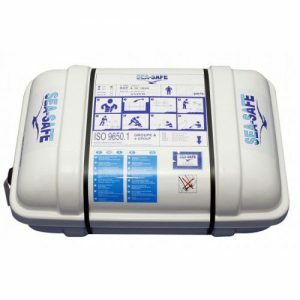 TRANSOCEAN LIFERAFT, ISO 9650-1 With Emergency equipment less than 24 hours. 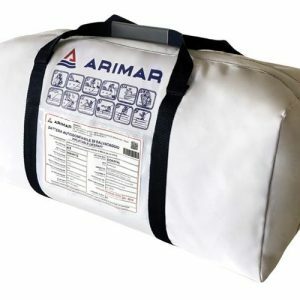 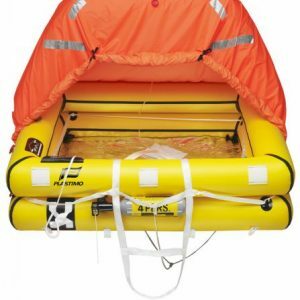 Blue water liferaft, designed for extreme conditions : large capacity and quantity of ballast pockets, large drogue anchor, -15°C inflation temp. 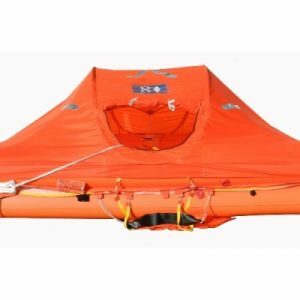 (group A), double insulating floor, fluo orange canopy with automatically erecting arch tube, 4.3 cd. 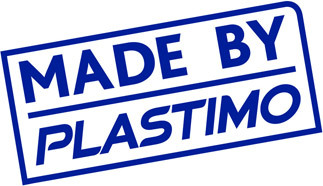 outside light and retro-reflecting stripes. 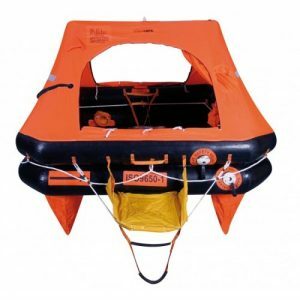 Transocean ISO 9650-1 also features a ballasted reversible ladder and grab handle to ease embarking This system allows the victim to hoist himself up on the ladder and then topple easily into the raft. 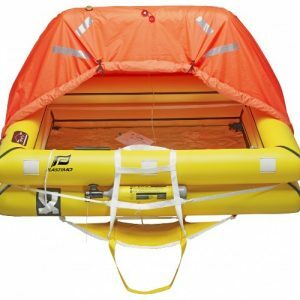 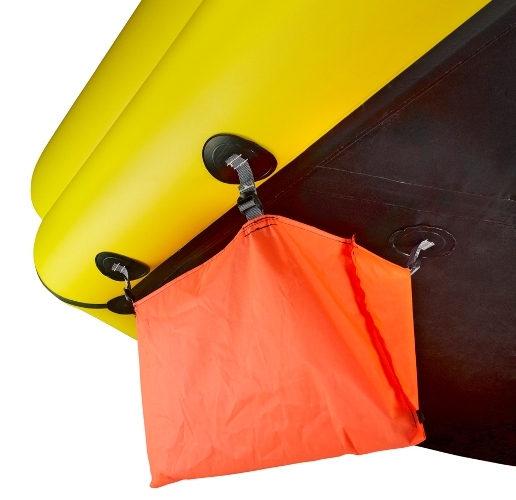 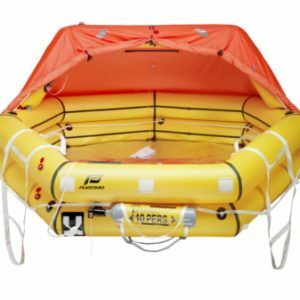 Should the liferaft inflate upside down, the boarding ladder simply reverts, to allow the victim to pull himself on the capsized liferaft and make it easier to turn over the raft in its natural position.